Eyebrows on fleek: Model of a modern human skull next to Kabwe 1. Image credit: Professor Paul O’Higgins, University of York. 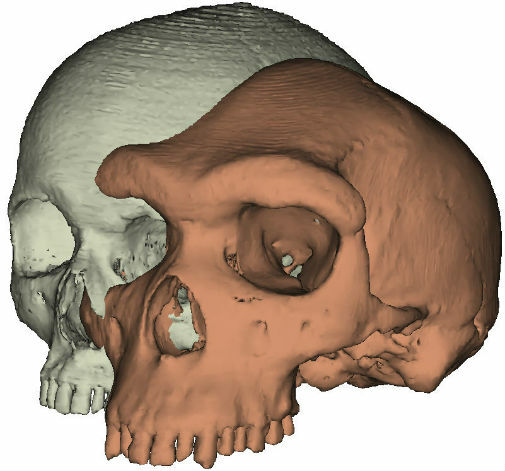 Citation: Supraorbital morphology and social dynamics in human evolution is published in Nature Ecology and Evolution.